"If you want to detect corruption at the highest level, look at his lifestyle," Dr Mahathir said. 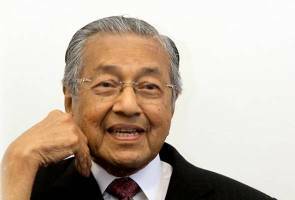 KUALA LUMPUR: How lavish a person lives can be an indicator of graft, and this can be used to detect corruption at the highest levels, former Prime Minister Tun Dr Mahathir Mohamad said today. He says one way of reducing corruption is for Malaysian courts to accept one's lavish lifestyles as evidence of corruption. “If you want to detect corruption at the highest level, look at his lifestyle,” Dr Mahathir said at Malaysia's War On Corruption Symposium 2015 here. The former premier said a corrupt person will normally not be able to resist spending the money accumulated. But Dr Mahathir rued that an individual’s lavish lifestyle was insufficient evidence in a Malaysian court, and nothing short of a material witness would do. “Unfortunately, if you go to the court of law, that is not sufficient evidence. (The) court wants to see people coming forward and say, ‘he took money from me'", he was quoted as saying in a Malaysian Insider report.